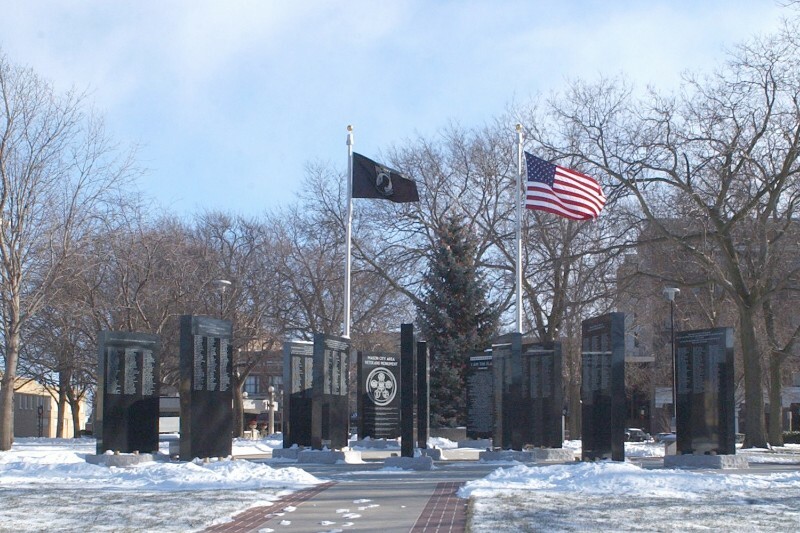 Veterans monument honoring over 3,300 veterans with connections to Mason City. The monument features 12 Black India Granite stones, each standing 8 feet high and weighing 4,000 pounds. 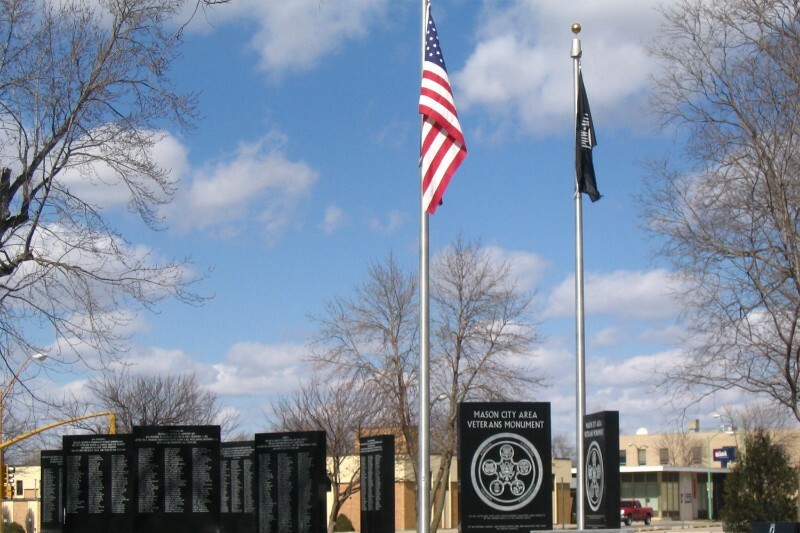 Located in the heart of Downtown Mason City, in Central Park. 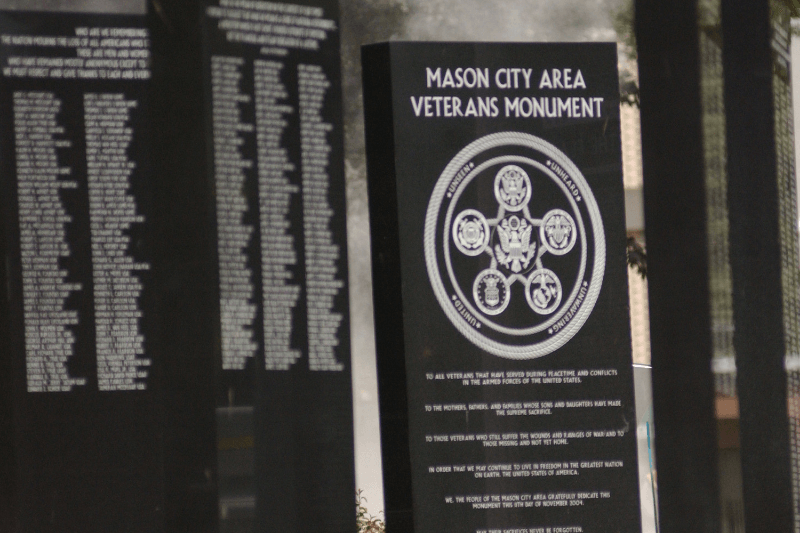 Any Veteran that has a tie to Mason City, signed their name to the line, and completed their military obligation with an honorable discharge is eligible to have their name placed on the monument. Names shall be continuously accepted for inclusion on the monument. Applications received prior to July 31 st of each year will be inscribed prior to Veterans Day (November 11); names received after July 31 st will be inscribed the next year. Question, please call Doug Waychus (641) 749-2722.